The Episcopal Church was established after the American Revolution when it became independent from the Church of England. The Episcopal Church characterizes itself as "Protestant, yet Catholic". It is a Christian church divided into nine provinces and has jurisdictions in the United States, Taiwan, Micronesia, the Caribbean, Central and South America, as well as the Convocation of Episcopal Churches in Europe and the Navajoland Area Mission. Discover our 10 things Christians should know about the Episcopal Church. The word for “bishop” in Greek is “Episkopos,” which literally translates as “overseer.” The Episcopal Church was named so because it followed the tradition of appointing bishops as clerical authorities. Other churches that also have bishops are the Roman Catholics, Eastern Orthodox, and Lutherans, among others. Bishops are ordained women and men who have a special role at the regional level for oversight and governance of the Church. According to Episcopal tradition, the twelve Apostles were the first bishops of the Church, and all the bishops throughout history up until now are their successors in this role. 2. The Episcopal Church in America separated from the Church of England during the Revolutionary War. The Episcopal Church originates from the Church of England, which in turn originates from the Roman Catholic Church and the Protestant Reformation. The Episcopal Church was established as independent from the Church of England during the American Revolution. In fact, many of the founding fathers of the United States were actually Episcopalians. Just as the United States was the first of many former colonies to seek independence from England, The Episcopal Church led the way for a series of independent churches of English tradition to establish all over the world. 3. Episcopal doctrine holds that Scripture is the revealed word of God. Episcopalians believe that the Holy Scriptures are the revealed word of God, and “contain all things necessary for salvation.” Far from Biblical fundamentalism, Episcopalians trust that this revealed word is best interpreted within the community of the Church, advised by tradition, reason, and the ongoing guidance of the Holy Spirit. An important part of the Episcopal tradition is a statement of belief known as the “Nicene Creed.” A “creed” is simply a statement of what a person or a group believes. “Nicene” refers to the ancient city in Eastern Europe called Nicea, where it was formally adopted. The Nicene Creed is a foundational text for most Christian churches, expressing a basic understanding of the nature of God, Jesus, the Holy Spirit, and the Church. 5. The Book of Common Prayer contains “instructions” for public worship. The first Book of Common Prayer was created in England more than 350 years ago, with a goal of rendering the prayers of worship in the language of the gathered people instead of the language of the educated elite. This tradition of common-language worship continues today and the Book of Common Prayer has been translated into nearly every spoken language on earth. The most recent revision of the Book of Common Prayer in the Episcopal Church was in 1979 and allowed for the choice of either “traditional” or modern language. 6. The Holy Eucharist is the central act of worship for the Episcopal Church. The Eucharistic service is commemorative of the Life, Death, and Resurrection of Jesus Christ. It is deeply related to the Mass of the Roman Catholics, the Divine Liturgy of the Eastern Orthodox, and the various communion services of Protestantism. As in all religious customs that have a Eucharist or Communion service, the ceremony is modeled after the words and actions of Jesus Christ at the Last Supper. The distinct form of sacrament used by the church is found in the Book of Common Prayer. The main features of the Eucharist are bread and wine, which are blessed, broken, and shared by all. 7. Baptism is an initiating sacrament for the Episcopal Church. In addition to the Holy Eucharist, the Episcopal Church celebrates the sacrament of Baptism, by which people become a part of the Body of Christ, meaning the church congregation, through water and the Holy Spirit. Those who are Baptized in Christ are “baptized into his death,” and are recognized as born again into the life of Christ, “dead to sin, but alive for God in Christ Jesus.” The Episcopal Church, ever aware of the connection of all believers, acknowledges the baptisms enacted by other Christian churches and traditions. 8. The Episcopal Church accepts and ordains people that other denominations would not. According to the Episcopal Church, it affirms the dignity and equality of all human beings and welcomes all people without any exceptions of race, ethnicity, gender, sexuality, orientation, age, or any other reason. 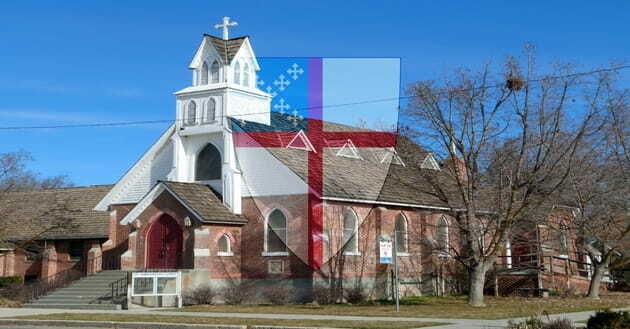 Also, what has been met with both condemnation and celebration from the Christian community, Episcopal churches accept women and LGBT people into their Ordained Ministry. 9. A quarter of US Presidents have been Episcopalians. George Washington, James Madison, James Monroe, William Henry Harrison, John Tyler, Zachary Taylor, Franklin Pierce, Chester A. Arthur, Franklin D. Roosevelt, Gerald Ford, and George H. W. Bush. 10. Episcopal membership and attendance has declined in the United States since 2000. Episcopal membership decline was slower in the 1980s and 1990s and became marked since 2000. There were significant regional differences, with decline worst in the East and Midwest and some growth in the West and the South (up to 2000), though all regions have been shrinking since around 2000. The decline between 2010 and 2015 is slightly slower than in 2005 to 2010 but continues to be pronounced. The reporting of average Sunday attendance began in 1991. During the 1990s average Sunday attendance was relatively stable but from around 2000 serious decline set in. This has continued and TEC’s average Sunday attendance dropped by nearly one third between 2000 and 2015, from 857,000 in 2000 to 579,780 by 2015. While there is some regional variation, a substantial decline has been happening across the country. NEXT: Should a Church Board Approve a $54 Million Private Jet?